If you had to come up with one word that describes the difference between a 19th century home and a contemporary home that word would be “electricity”. It’s electricity that empowers and enables all the devices that make our modern domestic experience so comfortable and convenient. Which means it’s crucial that every aspect of your home’s electrical wiring along with every outlet, switch and junction box are all up to speed, up to code and up to the challenge of handling the demands of the digital age. At Hotwire Electric we provide a full range of residential electric services for homes great and small. Our team of experienced, fully licensed and rigorously trained Electrical are the best in the Toronto, Vaughan, Richmond Hill area and will provide you a level of professional service you might have thought was a thing of the past. If you are suffering from electrical issues, if you need to upgrade aging wires and panels or if you need emergency repair service in the wake of a severe storm we’re the company to call. 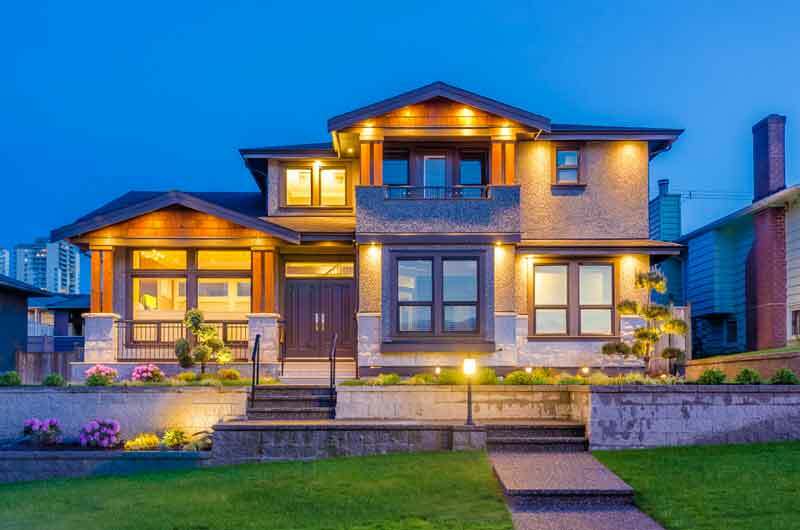 At Hotwire Electric, we offer Toronto clients a huge range of services that help ensure your home is energy-efficient while giving you solutions ranging from potlights to home automation. Whether you’re in need of a quick repair, a new new room or feature in your home, or a complete electrical renovation, we have the skills and experience that few electrical contractors in the GTA and Toronto area can match. Our team of highly capable and friendly electricians have years of experience dealing with residential electrical systems. All of us are committed to help you quickly get the job done with minimal interruption of your daily routine. Our prices are highly competitive and we go out of our way to ensure our clients are happy with our work. Your Toronto home is your castle. It’s where you raise your kids, entertain friends and neighbours and spend relaxing weekends catching up on sports or lounging by the pool. It’s no place for faulty wiring. There’s simply too much at stake. If you believe your home is in need of electrical repairs, modifications or upgrades we would urge you to resist the DIY impulse and call Hotwire Electrical Contractors instead. Even simple, seemingly insignificant mistakes in wiring can lead to deadly accidents. If you forget to turn off a breaker in order to repair a pot lamp the consequences can be horrific. Electricity is no joke. A Master Electrician trains for years and is constantly having to upgrade his or her skill set as materials, methods and best practices evolve. Not being privy to important information and not having the benefit of years of experience can turn your DIY project into family tragedy. Don’t let that happen to you. If you’re experiencing electrical issues call the GTAs most trusted residential Electrical instead: Hotwire Electric. If neglected the wiring in your home can become a constant source of problems, so having the electrical lifeblood of your house operating properly is more than just a matter of convenience. Among other things unsafe or faulty wiring will have a negative impact on the market value of your home and also has the ability to spark deadly fires with little notice. If you have become aware of electrical problems big or small you need to have them addressed immediately. And that’s where we come in. The residential Electrical from Hotwire Electric have built a reputation for quality work and reliable service that’s unmatched. But we’re not about to rest on our laurels. Instead we continually strive to ensure that every single customer that entrusts us with the wiring in their home is rewarded by a job well done. We believe in the value of high-quality work both for our customers’ sake and our own. Our reputation is founded on providing the highest level of service possible to our GTA clients and it’s that high degree of customer service and satisfaction that keeps them returning time and again. Each member of our team is in fact a customer service rep in that they represent the company, our standards, our practices and our commitment to quality service. Call Hotwire today and discover what so many homeowners throughout Greater Toronto already know: Hotwire residential Electrical deliver.